Staylean.com is intended only for consumers wishing to order Staylean Products. The terms and conditions under which the Products are offered for sale on this Website are set out below. By placing an order on the Website, you accept and agree to be bound by these terms and conditions. Staylean reserves the right to change these terms and conditions at any time without prior notice. Such change however will have no effect on orders that were submitted before posting of such revised terms and conditions on this Website. 2.1. To place an Order, you must be 18 years of age or over, be accessible by telephone and have a valid email address. Staylean will not accept orders placed in any way other than those listed above. 2.3. When you place your order, we will issue you with a Web Order Number. We will do this via the Website and subsequently via your specified email address. Please note that such a Web Order Number is supplied for reference purposes only and does not constitute our acceptance of your order. 2.4. By placing an order, you make an offer to us to purchase the Products you have selected on these terms and conditions. Staylean may or may not accept your offer at our discretion or may reduce the number of Products we accept to deliver to you. However, orders submitted by you are binding on you and cannot be cancelled/amended after order submission. 2.5. If Staylean accepts your order, we will notify you of our acceptance by issuing an order confirmation. We will send your order confirmation to you by e-mail. The order confirmation will be effective as of the date on which the order confirmation is sent to you. If we cannot accept your order, we will attempt to contact you by email or telephone or post. 2.6. Please note that the on-screen display of the colours, designs, products may differ from the actual appearance or size of products offered on the Website. Subject to these terms and conditions, Staylean will supply to you the Products indicated on your order confirmation. 4.1. All prices are in GBP. Prices shall be those prices published on this Website at the time you submit your order. The prices published on the Website are inclusive of VAT where applicable but may be exclusive of shipping costs, which are for your account. These costs will be calculated separately as applicable and specified on the order form and added to the total price of the order. The total price stated on the order form you submit shall be the total amount payable by you for the products including shipping. 4.2. If, by mistake, we have under-priced a product, we will not be liable to supply that product to you at the stated price, provided that we notify you before we dispatch the product to you. In those circumstances, we reserve the right to cancel your order. In the event, we cancel your order, we will give you a full refund on any amount already paid for that product in accordance with our return and refund policy. 4.3. Delivery costs, where applicable, are payable by you as indicated on your order confirmation. 5.1. You may pay for your Products by the methods of payment as may be displayed at the Website checkout. 5.3. If you are paying by credit or debit card, then you must supply your credit or debit card details when you place your Order Staylean will not supply the Products to you nor perform the services until your credit or debit card issuer has authorised the use of your card for payment of the Products and/or services ordered. If Staylean does not receive such authorisation we shall inform you accordingly. We reserve the right to verify the identity of the credit or debit card holder by requesting appropriate documentation. 6.1. Staylean will deliver the Products to the delivery address you have specified in the order form and in accordance with the delivery option you have chosen. In the event, you order various Products to be delivered to different addresses, you will need to submit a separate order form for each delivery address. 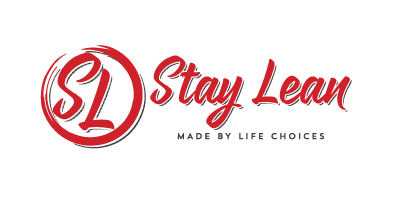 Any delivery or shipment dates given by Staylean are best estimates only and Staylean shall not be liable for any loss, damage, costs or expenses for failure to deliver in accordance with the delivery or shipment dates given. In the event that any of the Products ordered are out of stock, this may mean the whole order is delayed. If so, an estimate of the delay will be given by e-mail or post but delivery shall in any case be made within thirty (30) days as of the date indicated on the order confirmation by Staylean. 6.3. Upon delivery of the Products to the carrier Staylean will send you a confirmation of shipment by e-mail provided you have indicated an e-mail address on the order form or by post. All ownership, title and risk in the Products will pass to you immediately at the point and time at which such Products are placed at your disposal at our premises in the UK. 7.2.1. You acknowledge and agree that it is your responsibility to arrange for a courier to deliver the Products to you, or alternatively to collect the Products yourself from Sports Supplements Limited’s premises. 8.1. You may return the Product to Staylean or cancel the entitlement to services and obtain a refund of the price of the returned Product provided that you contact us within seven (7) working days from the day after the goods are delivered as long as the product has not been opened or consumed. Although you will have to pay the cost of returns, the refund will include the full value of both the product and the outbound shipping costs. If a product is sold as part of a product combination (bundle) in which other products are offered for free or at a discount compared to their normal price, the bundled product must at Staylean’s request be returned with the product purchased. We reserve the right to raise an invoice in respect of any free or discounted bundles product not so returned. 8.1.1. If a Product was supplied in error, is incomplete or faulty and you believe that you are entitled to a replacement or repair in accordance with paragraph 8 below, please call Staylean on 01793 771748 between 08:00 and 17:00 Monday –Friday. excluding Public Holidays. 3. Sealed the packaging securely. 9.1. Staylean – branded Product Warranty Staylean warrants the Products as stated on the Web Site. Specific warranties may apply to certain Products (such as customised Products) as specified on the Website. Should the Product supplied by Staylean not comply with the applicable warranty we shall, at its option and expense, unless provided otherwise in the applicable warranty, repair or replace the Product or refund the purchase price upon return of the Product. Except as expressly set out in these terms and conditions, to the fullest extent permitted by law Staylean hereby disclaims any and all warranties, whether express or implied. The limited warranty set out above will not affect or prejudice your statutory rights. 9.2. Non Staylean-branded/Third-party Products For non Staylean branded Products, all warranty claims, where relevant, are to be made in accordance with the terms and conditions of any standard manufacturer’s warranty which may be included with the Products purchased. In relation to any existing manufacturer’s warranty, any warranty claims should first be made either directly to the manufacturer or to Staylean by phone. 9.3. IF YOU ARE A CONSUMER, THE WARRANTIES REFERRED TO ABOVE ARE IN ADDITION TO AND DO NOT AFFECT YOUR STATUTORY RIGHTS. 10.1. Your transaction records are accessible to you if you are a registered customer by entering your Web Order Number(s) so that you may check the status of your order(s) and check the order content. Staylean will make every effort to perform its obligations under the contract. However, it cannot be held responsible for delays or failure to perform if such delay or failure is caused by any circumstances beyond our reasonable control. In the event of a delay, we will perform our obligations as soon as reasonably possible. Staylean will try to solve any disagreements quickly and efficiently. If you are not happy with the way it deals with any disagreement and you want to take court proceedings, you must do so within the courts of England & Wales. The applicability of the United Nations Convention on Contracts for International Sale of Goods is hereby explicitly excluded. 13.1. The invalidity or unenforceability of any provision of the contract shall not adversely affect the validity or enforceability of the remaining provisions. 14.1. Loyalty Points / Store discount You may from time to time be awarded Loyalty Points as a result of your interactions with the Personal Trainers whom you purchased your code from. Whether uploading reviews, recruiting new customers or simply by making purchases.